The Young and the Restless (Y&R) spoilers tease that Nikki Newman (Melody Thomas Scott) has stumbled across quite a mystery. She can’t make sense of all Victor Newman’s (Eric Braeden) lies or why he’d be paying a psychiatrist in Nevada, but she’s determined to learn the truth. In Tuesday’s Y&R episode, Nikki turns to two different sources for help with cracking the case. Since Paul Williams (Doug Davidson) isn’t interested in helping, Nikki has a chat with Rey Rosales (Jordi Vilasuso) and encourages him to take the lead. She’s willing to pay Rey handsomely, so he’s tempted by the offer. Rey only agrees to think about it, but there’s a good chance he’ll indeed dig around for Victor clues soon enough. How else is Nikki going to get the answers she needs? 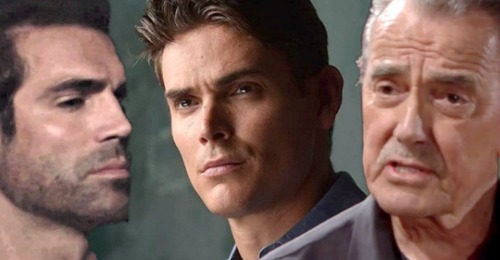 Regardless, The Young and the Restless spoilers suggest Adam may be the reason for Victor’s current secrecy. It seems his Newman minions may have located Adam, who probably has amnesia based on this psychiatrist Victor hired. Vic may be hoping the doc can jog some memories for Adam. Upon further investigation, Rey might find that Victor has hired a neurologist, too. Of course, we have to wonder if Adam has signed on for all this willingly. If Adam doesn’t remember anything, he may not have been on board with Victor’s plan. Would Victor do all this against Adam’s will? We know Victor has a history of hiring shady people to do whatever he wants. Perhaps Adam’s being held captive in hopes that something will change. That might be why Victor’s keeping it all hush-hush. However, anything Adam-related is happening offscreen at the moment. When will that change? Word has it Mark Grossman will debut in role of Adam by May 14. He might pop up a bit before, but it’s nice to have that airdate as a guideline. This means Adam will burst on the scene in time for May sweeps. Will Adam get his memories back by then and make his way back to town? The Young and the Restless spoilers say Genoa City residents will get their shock of their lives, so stay tuned. We’ll give you updates as other Y&R news comes in. Stick with the CBS soap and don’t forget to check CDL often for the latest Young and the Restless spoilers, updates, and news.